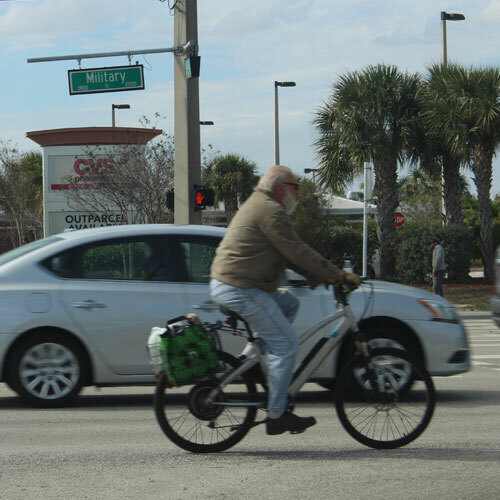 Bike sharing finally comes to West Palm Beach. The official unveiling is scheduled to take place at 9:30 a.m. on March 4, 2015. The program will reportedly begin with 14 bike share stations throughout the downtown area, offering up to 150 bikes available for public use. Annual membership in the program is anticipated at $120 to $155. Alternatively, monthly membership will be $15 to $20 with a three-month commitment. Non-members will also be able to rent bicycles for $12 to $17 a day, $25 to $35 a week, or $40 to $60 a month. West Palm Beach Downtown Development Authority’s Board voted unanimously to approve a ten year deal with the consultant firm P3GM, which describes itself as “a smart city infrastructure development and advisory firm currently operating in the U.S. and Latin America.” P3GM will reportedly cover all costs associated with installing the solar-powered stations and racks at an estimated value of $1 million. The firm will generate revenue through user fees, sponsorships, and advertising on kiosks at the program bicycle stations.